Key Difference: Business, enterprise or firm is an organization that is actively engaging in commercial, industrial or professional activities. It is a company that offers goods or services for a monetary amount. On the other hand, finance is a huge part of a business. It is the study of how investors allocate their assets over time. Business and finance are two terms that are often interrelated and are used interchangeably in today’s world. Almost everyone, unknowingly, either deals with these two or contributes to these two every day. A working person contributes to personal finance and the finance of a business, where he/she is working. A business is not possible without finance and neither is running a financial institution without being a business. They often go hand in hand with each other, but differ from each other in many ways. Business, enterprise or firm is an organization that is actively engaging in commercial, industrial or professional activities. It is a company that offers goods or services for a monetary amount. The main purpose of a business is to earn profit and increase the wealth of the owners. Businesses are found in almost every country, but are commonly associated with capitalist economies, where most of the businesses are privately owned and the main purpose is to earn profit. The word ‘business’ is believed to be derived from the state of being busy, either as an individual or a society as whole. It also has three different uses, depending on the context of the word; it could refer to a particular organization, a particular market (i.e. music business) and a broad meaning that encompasses all activity by the community of suppliers of goods and services. There is no set, proper meaning of business and the definitions are still under debate. A person can own and conduct business in various different ways under different jurisdictions. These vary depending on country, state and judicial restrictions. Common ownerships include: sole proprietorship, partnership, corporation, cooperative, etc. Business has been broken down to five different categories: manufacturing or production, marketing, accounting, financing and human resources. In order to run an efficient business, these five departments are a must; they are known as the support pillar of any important business. In order to run an efficient business a person must first be able to produce a product or offer a service, then effectively market that product/service, understand the costs associated with the product/service, how much capital and management of finances will be required, and finally human resources in order to hire and deal with the employees. The study of business is known as business management or business administration. On the other hand, finance is a huge part of a business. It is the study of how investors allocate their assets over time. A major part of finance is the time value of money, the depreciation or appreciation of money (how much a unit of currency will cost tomorrow). Finance plays a major role in a business, dealing with capital, allocation of money, etc. Finance can be broken down into three categories: personal finance, corporate finance and public finance. Personal finance is the household finance. It is the understanding the net worth of the household and the household cash flow. It is the income of all the people in the household, minus the spending and whatever is left is the profit or savings of the household. In case of deaths or unforeseen circumstances, the division of property and cash is also a part of personal finance. Corporate finance includes the earnings, spending and the profit of a corporation. The company’s initial capital, break-even point and profit earned and distributed to the shareholders are all a part of corporate finance. Public finance describes finance as related to sovereign states and sub-national entities and related public entities (i.e. public schools, libraries). It is how much money a state, or city or provenance can put aside for public purposes and how much they earn or spend. Whenever a government states putting money aside for public monuments, parks, libraries or city schools, these finance falls under the public finance. Finance is closely related to economics, or the running of the country. Economics has a huge influence on finance. Economics is the supply and demand of goods within a country, including local and international trade. It is the social science that analyzes the production, distribution, and consumption of goods and services. It directly affects the finance of the country, as selling a product that is no longer in demand will just put the company in loss. However, using economics we can analyze which product is in demand and then produce that particular product. Another study is known as financial economics, which is a branch of economics that studies the interrelation of financial variables, such as prices, interest rates and shares, as opposed to those concerning the real economy. It focuses on the influence of real economic variables on the financial ones. Finance also plays an important part in almost all aspects of our daily routines, whenever someone buys a product or a service, the money is put back into the economy. It is said that money always travels and never stops, it is a cycle. 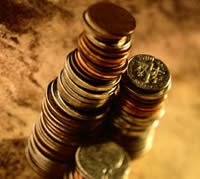 Finance is also related with financial markets, such as dealing with shares, mutual funds, hedge funds etc. These are also a form of finance for a company. Other fields of finance include financial mathematics, experimental finance and behavioral finance.